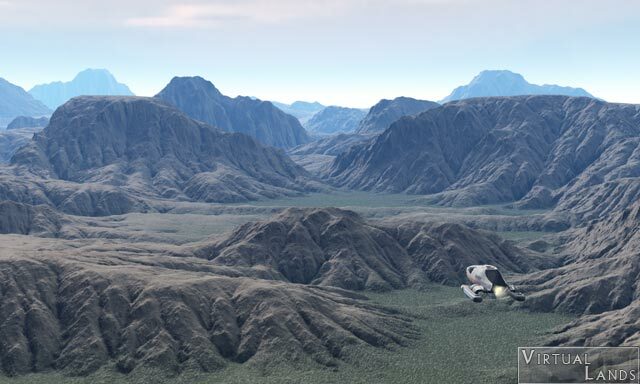 Both tests were made with a very similar scene, using the same 2048 pixels terrain made in Geocontrol 2. The renders themselves were, however, very different. The Bryce scene had an IBL lighting and was rendered with superfine antialiasing. Toshiba laptop Centrino Duo T2300 2 x 1.66 GHz 50'01"
Bryce does not seem to use all the cores in any configuration. With Dual cores, both are used unequally, but not fully. With the Quad core only two cores are used. In both cases, Bryce uses only 50% of the available computing power. However, the Quad core renders the scene in less than half the time of the Centrino based laptop. 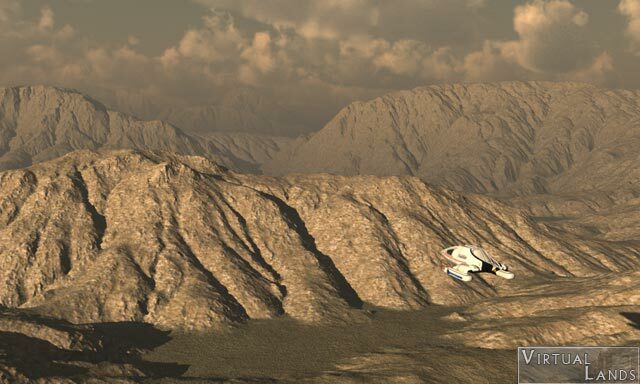 The Vue scene uses a spectral atmosphere with Global illumination. Toshiba laptop Centrino Duo T2300 2 x 1.66 GHz 2h 15' 25"
Vue uses all the cores when rendering a scene, thus the gain with the Quad Core is far more impressive. But surprisingly, the gain with the Athlon is inferior to what was observed with Bryce. 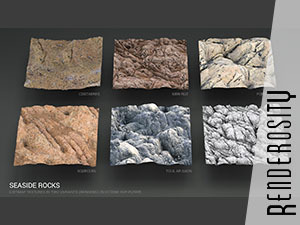 After making this benchmark scene, I made the VueMark benchmark. Here are the results. The gain is almost the same as with my benchmark scene except that the Athlon gains 27% on the laptop instead of 24%. The gain for the Quad core is far more than I expected. This machine has a tremendous computing power. But it is nothing compared to machines based on dual Core 2 Extreme that had VueMark scores of above 1000!